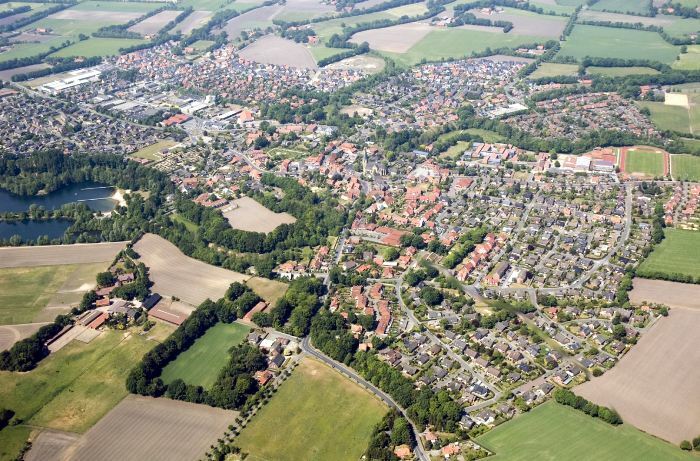 The municipality of Saerbeck lies in the Muensterland between Muenster and Osnabrueck in the western part of central Germany. The community of 7500 people started to develop a plan in 1989 to solve the climate crisis. This led to a decision to become a carbon-neutral community with "Energy Autonomy" - that is, a community that sequesters as much carbon as it emits and produces all the energy it needs with local, renewable sources, efficiency and conservation. Saerbuck set a goal achieving this energy transition by 2030. With support from a wide range of stakeholders, including citizens, local government, local businesses, utilities, and educational institutions, the municipality is on track to actually reach its target by 2012-13. Saerbeck began by installing community owned solar power on public buildings and by bringing the local utility under municipal management. By 2007, the municipality had reduced their CO2 emission by 25 percent and was powering 50% of municipal building electricity demand with renewable energy. 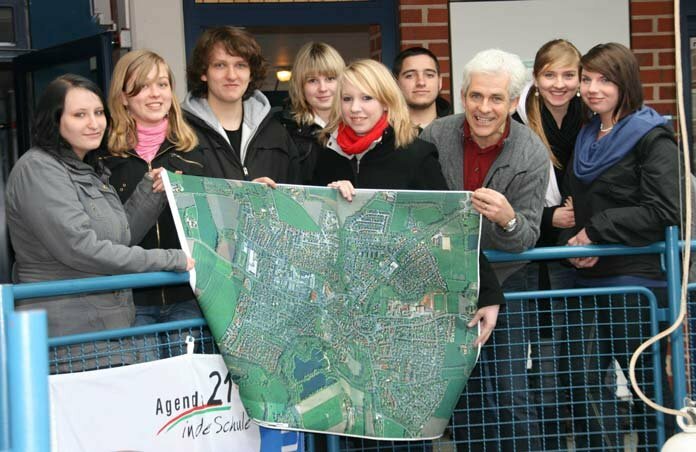 In 2009, the municipality took another step toward energy autonomy by completing a feasibility study. Ensuring that the next generation would fully participate in the future energy system, this study was done in collaboration with local high school students. Also helping to involve the community in the project was the building of an "energy experience trail," a walking path with examples and descriptions of renewable energy technologies that allow people to learn about and immerse themselves the new energy reality. Saerbeck also retrofit a former ammunition depot into an innovative bioenergy park that similarly provides three-dimensional education about the community's sustainable energy goals, while also generating renewable energy with a mix of technologies. These innovated measures not only helped engage the community in Saerbeck's energy plans, but also boosted tourism. In the first half of 2012 alone, 3500 visitors came to see the "climate town" of Saerbeck. Other milestone achievements in Saerbeck's energy autonomy project include installation of a number of biogas plants, which supply heat, electricity, transportation fuels (bioethanol, biobutanol, and vegetable oil), and several by products like high quality fertilizer, insulation material, and wood plastic. A "see through" glass covered heating unit also provides district heating, and about 70 solar power arrays cover former bunkers in the depot turned bioenergy park. 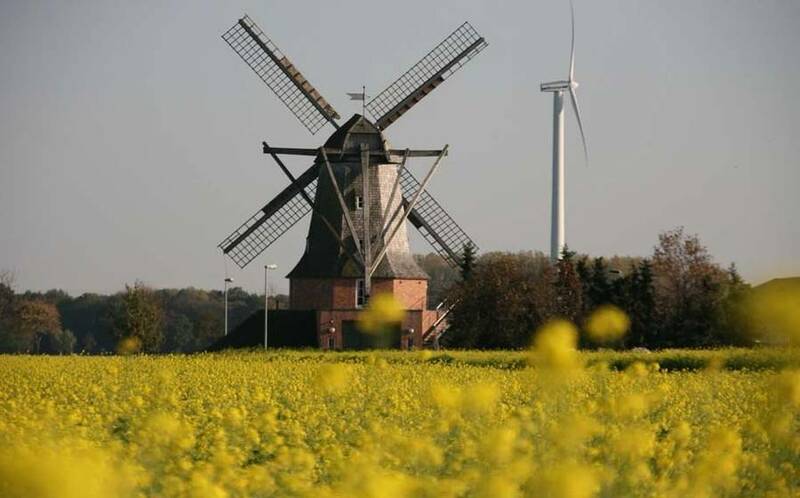 Seven wind turbines nearly 200 meters high are additionally under construction, and when they are completed, Saerbeck will have reached the goal of "becoming energy independent by 2030, way ahead of schedule," according to Mayor Wilfried Roos. The municipality does not want to stop there, however. 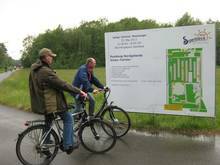 New projects are already being planned, including a major geothermal project in Saerbeck's bioenergy park.